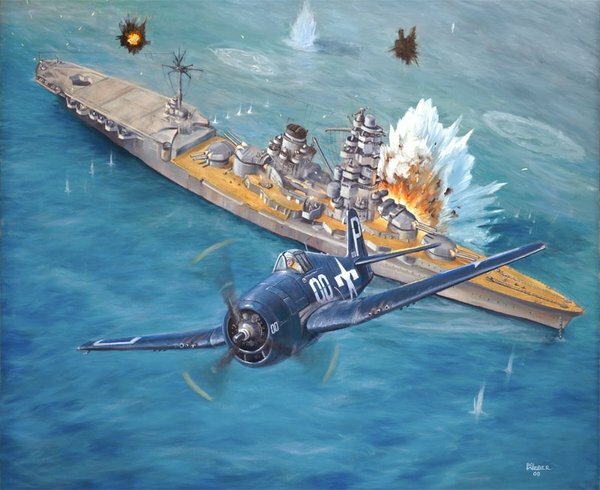 of the VF-31 led a strike on the Japanese battleship ISE. that eventually sank the battleship. He was awarded the Navy Cross for this action.